Nuanced, spicy, slightly malty flavor with notes of juniper, anise, bitter orange, cloves, cinnamon and cumin. Complex, spicy, light malty aroma’s with a hint of juniper, anise, citrus peel, cloves, cinnamon and orange flowers. Barley malt, corn, rye, juniper and other herbs and spices like Lemon peel, Coriander seeds, Star-anise, Licorise and Orange Peel (botanicals). Our “Old Genever” is made according to an old recipe dated back to 1942. The smooth, subtle and malty flavour comes from using a high maltwine-content, made from rye, corn and malted barley, triple-distilled in copper pot stills. 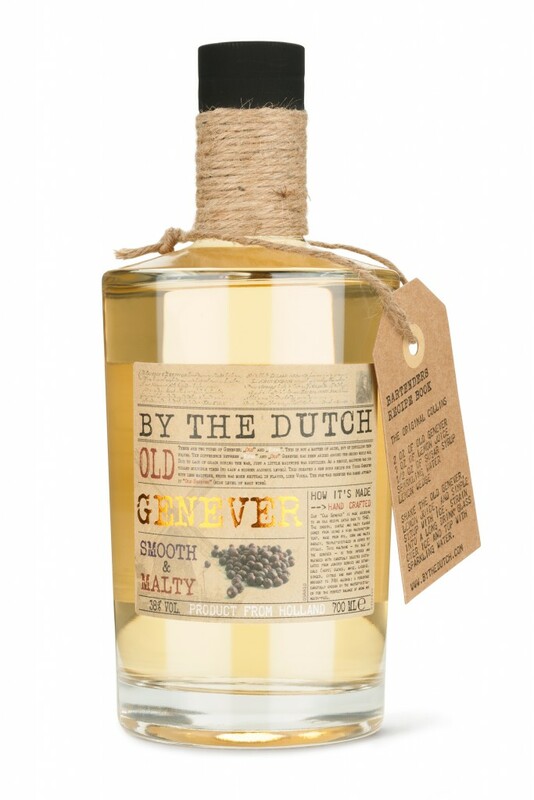 This maltwine – the base of the genever – is then infused and blended with carefully selected distillates from juniper berries and botanicals (hops, cloves, anise, licorice, ginger, citrus and many others) and brought to 38% alcohol: a percentage carefully chosen by the master-distiller for the perfect balance of aroma and mouth-feel. Distilling the wash from malt, corn and rye in a Pot-still up to ±13% abv into „Ruwnat”. Second distillation in the Pot-still up to ±38% abv into “Enkelnat”. In 2007 Genever became a protected spirit of Holland, meaning it has the equivalent of a French appellation controlé d’origine (AOC). It can only be made from high-quality ingredients in the traditional way, and only in Holland and a few nearby areas.